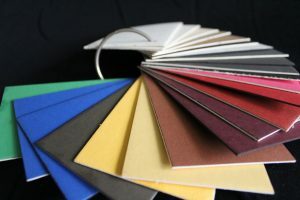 Laminating consists of multiple substrates being adhered and pressed together forming a solid paperboard sheet. 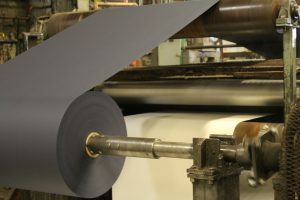 Laminating parameters consist of length, width, caliper, number of laminations, and type of substrates to be laminated. 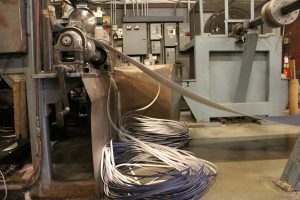 Our machines’ capabilities are as follows: Maximum length 240”, Maximum width is 52”, Maximum caliper is .150 of an inch. 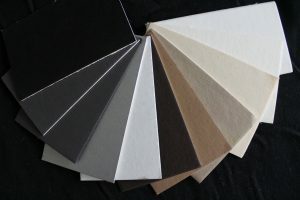 Some standard substrates are fine papers, all types of paper boards, paper backed foils, cloths, velours, Sbs, and poly-coated boards.